It sounds a little daunting, but don’t be discouraged. 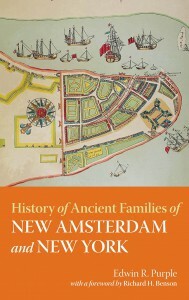 One resource to start you off is History of Ancient Families of New Amsterdam and New York by Edwin R. Purple, who researched these early families using the records of the New York Dutch Reformed Church as one of his key resources. 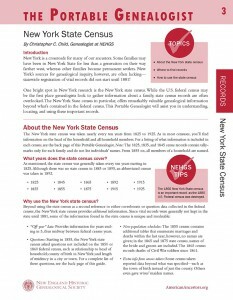 Most of the book’s contents were originally published as Purple’s articles for The New York Genealogical and Biographical Record between 1875 and 1879, as he documented the first three or four generations of some of the ancient families of New York. 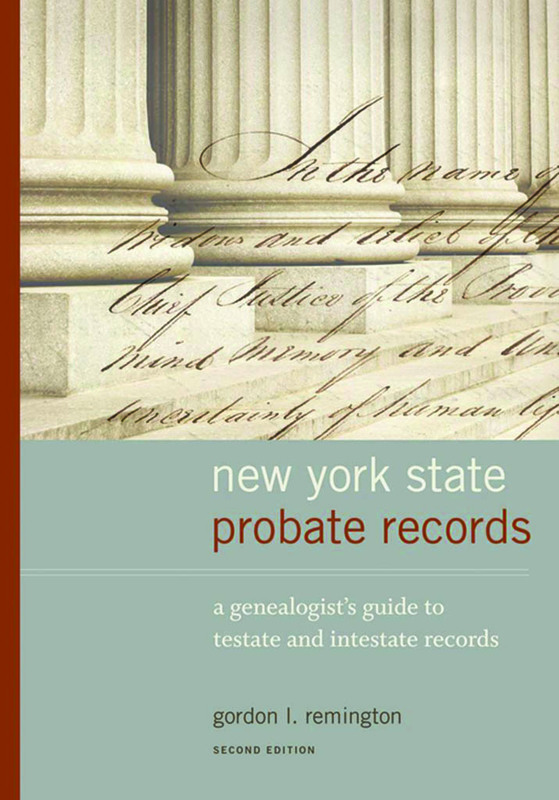 To help you in your quest for original records, Gordon L. Remington compiled New York State Probate Records. 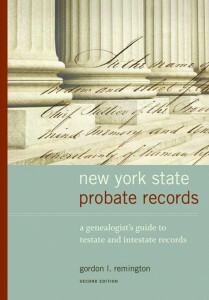 According to the author, “What New York State lacks in vital records is more than made up by its probate records. A wealth of genealogical information is contained not only in what are considered ‘standard’ probate records – wills and administrations – but also in ancillary records, and most importantly, the petition required to probate or to administer an estate after 1830.” This book gives the reader information on how and where to access probate records in the province and state of New York. And if your ancestors were part of the eighteenth-century settlement of the Beekman Patent, you’re in luck. 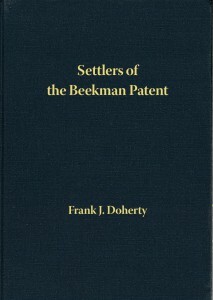 Frank Doherty Sr.’s Settlers of the Beekman Patent is an eleven-volume work focusing on this Dutchess County land holding granted to Henry Beekman in 1697. With the first European settlers arriving around 1710, the Beekman Patent became a major entry point from New England to New York and the West. The names contained within each volume are included in the descriptions on AmericanAncestors.org. 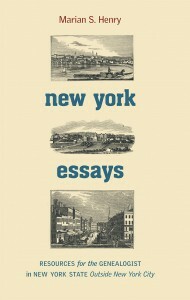 Another book of interest is Marian S. Henry’s New York Essays, which contains a series of essays about New York that the author originally wrote for AmericanAncestors.org. Subtitled Resources for the Genealogist in New York State Outside New York City, the collection ranges from how to find primary sources and obtain vital records in New York State to summaries of land purchases and settlements, to stories of specific people and places that give context to the world in which your upstate ancestors lived. And stay tuned for a new Portable Genealogist from Henry Hoff on Colonial New York Records, expected in Winter 2015! Thanks for your thumbnail sketch of what’s in each of these books. 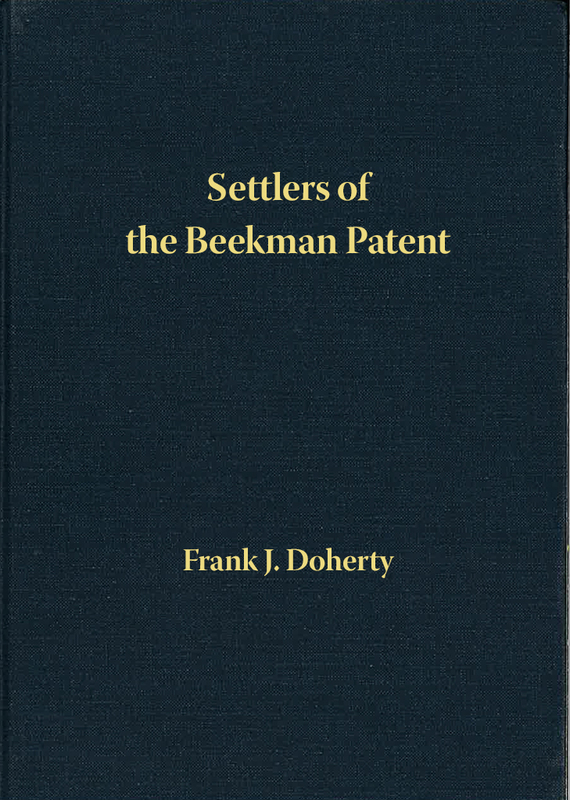 Actually, I’ve got all of them except “Settlers of the Beekman Patent.” Purple’s book is fascinating, as are many of the essays in Henry’s book. I haven’t dipped into the one on probates yet. I started my “East Coast” research with early NY–one of my ggg grandmothers is named Schermerhorn, and I have her New Testament, printed in Amsterdam in 1743. That was a pretty big clue. 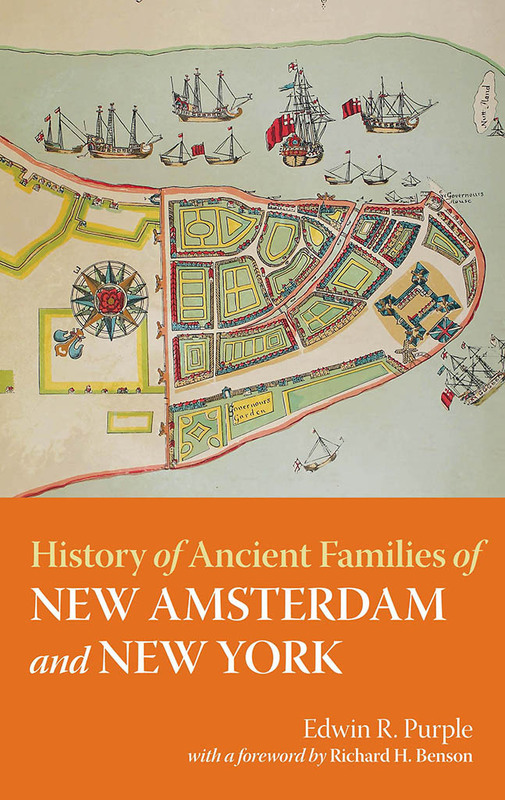 The progenitor of this family, as it turns out, arrived in New Netherland in 1636, so they go back a long time, and intermarried with all the other early Dutch families. My ggg grandmother’s branch were in Albany. While not strictly a genealogy book, I learned a huge amount from a book by Janny Vanema on early Albany, called Beverwyck because it was where the Dutch traded with the Native tribes for beaver pelts. I can’t recall the title at the moment, but a Google search on her name will bring it up. It’s beautifully written, carefully footnoted, very clear on the history, and mentions many of the early settlers, including many of my families. I am also beginning Nick Bunker’s “Making Haste from Babylon,” a new interpretation of the Mayflower Pilgrims, which credits their success to the beaver trade with the Indians as well, this time in Maine. I don’t have any Mayflower ancestors, but I’ve already learned a lot about the history. I learned about that one through a recent Vita Brevis post. Your sketch on the Beekman Patent made clear that I will not need those volumes. I haven’t really understood before what this was, but my ancestors weren’t in Duchess Co. My ggg grandmother’s family left NY in 1821 for IN. I bought the book on New England migrations, which I’m hoping will help explain why they went there, and why they went when they did. Books are so important in helping not just to find more data on our ancestors, but in understanding the stories behind them. 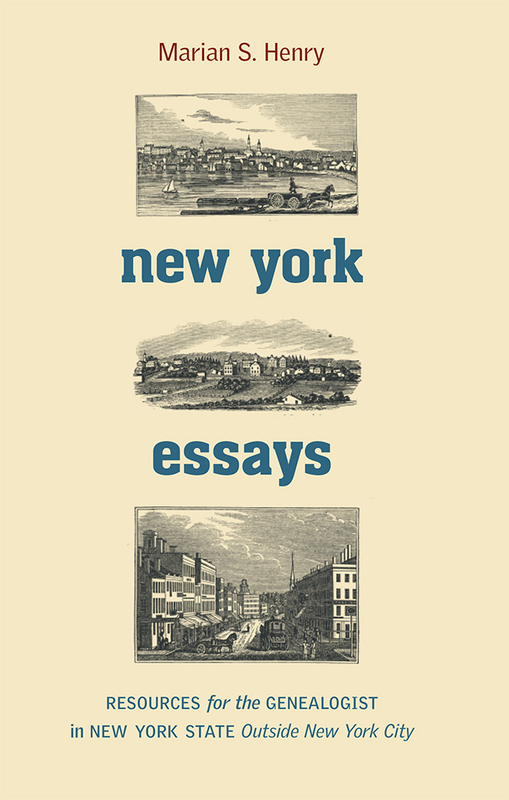 Thanks for some info on some of the books on New Englanders as they moved into NY. I’m glad you found the post helpful, Doris! Thanks for sharing information on your own resources, and good luck with your research! I read somewhere there were Indians brought from Quebec to New York to work in the late 1800’s . How do we find these records? My Grandmother ws French (fur trapper) and Indian from Quebec and worked as upstairs maid in my GGrandfathers house in MA. I am trying to find her roots if possible but I am now 83 and in California. No one alive in family that knows.